Pictured: LL COOL J (Special Agent Sam Hanna) and Chris O'Donnell (Special Agent G. Callen). 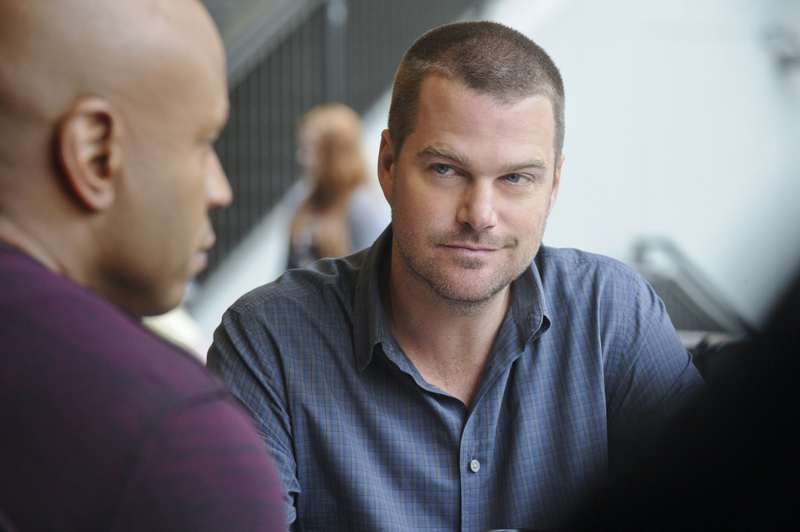 Sam is convinced that the theft of software for a new unmanned aerial vehicle is connected with the disappearance of the lead engineer's 10-year-old daughter, a girl Sam once provided protection detail for in Saudi Arabia, on NCIS: LOS ANGELES, Tuesday, April 29 (9:00-10:01 PM, ET/PT) on the CBS Television Network. Photo: Ron P. Jaffe/CBS ©2014 CBS Broadcasting, Inc. All Rights Reserved.